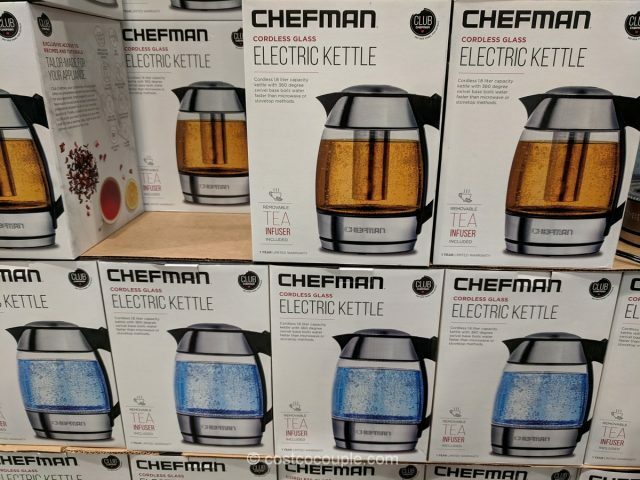 The Chefman Electric Glass Kettle offers an easy way to brew and drink tea all day long. 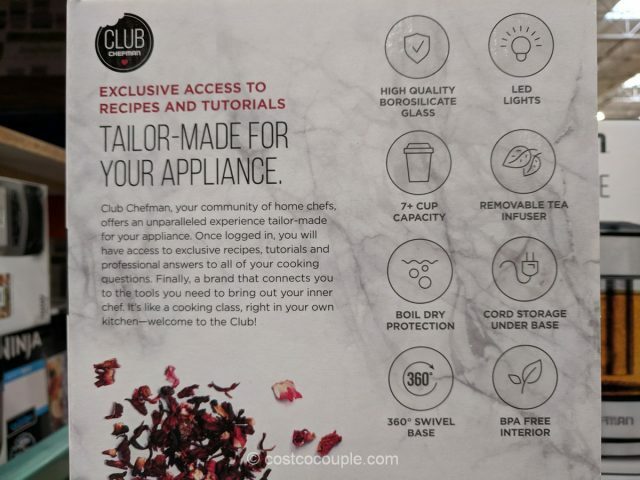 A removable tea infuser is included so it’s very easy to brew a batch of your favorite tea. 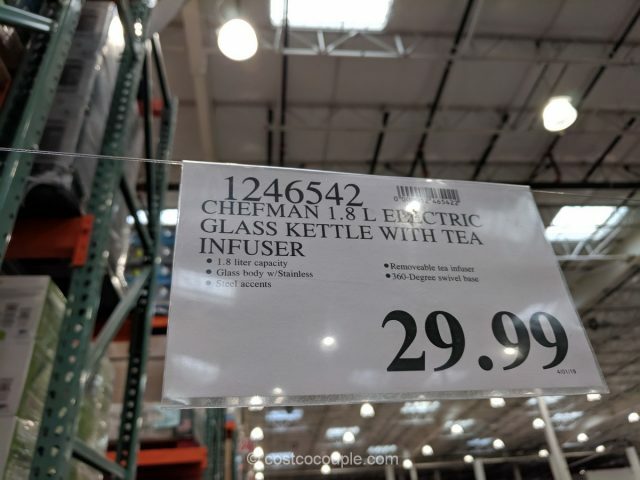 This 1.8 liter cordless glass kettle has a 360-degree swivel base, so you can grab the handle from any angle. 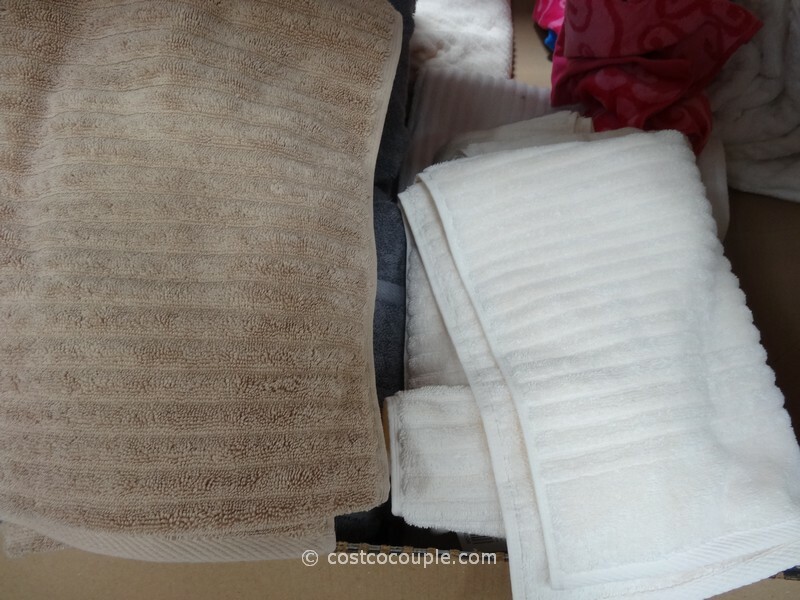 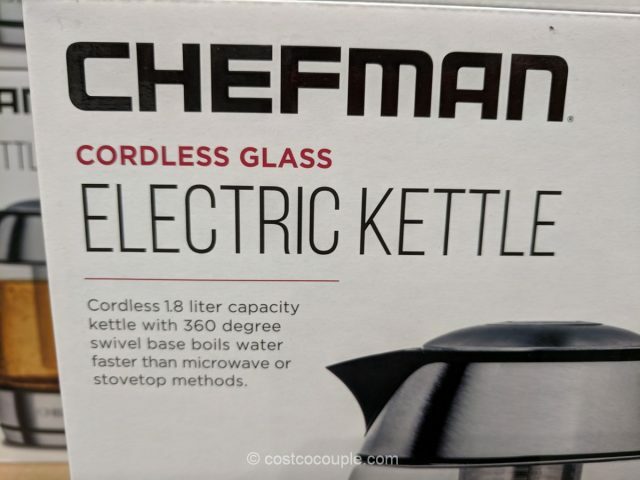 It also supposedly boils water faster than the microwave or stovetop. 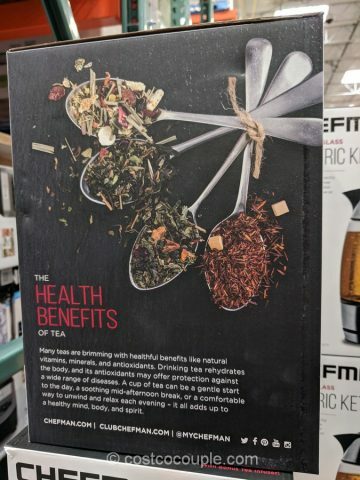 For safety, the kettle automatically shuts itself off once the water has come to a full boil. 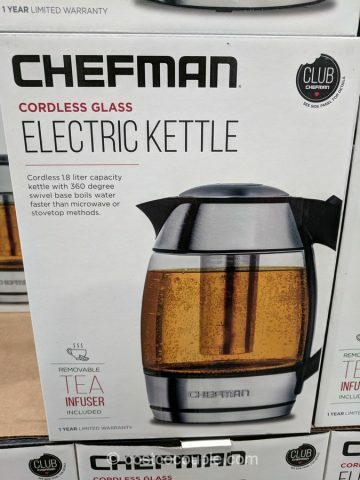 The Chefman Electric Glass Kettle is priced at $29.99.